I recently purchased an iDatalink Maestro RR, and was surprised when I read the system requirements for the Weblink Updater: Windows 7 now supported? 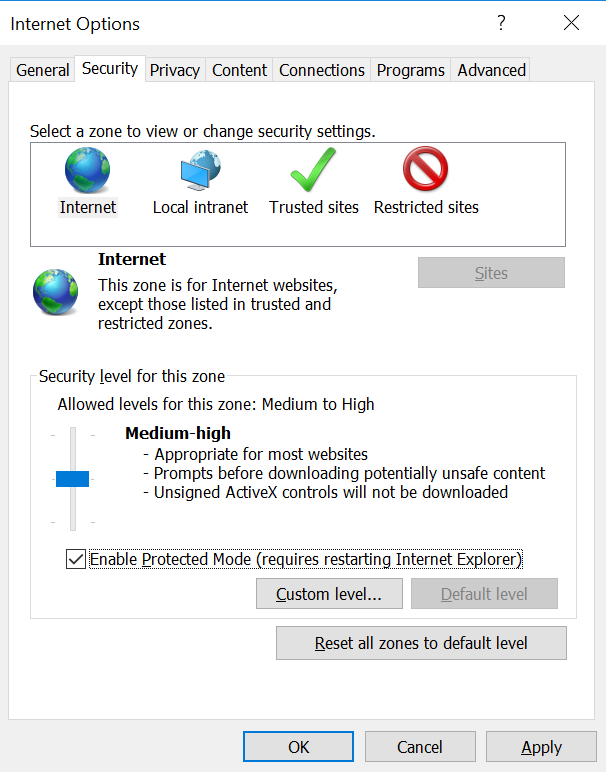 Internet Explorer 7.0 or greater [Excluding 64 bit version]? Also, when I downloaded and ran the program, it told me it needed .NET framework 2.0. I have a 64 Bit Windows 10 computer with .NET framework 4.x installed, but that’s not backward compatible with framework 2.0 apparently. Now what? You need to enable the .NET framework 2.0+ 3.5. 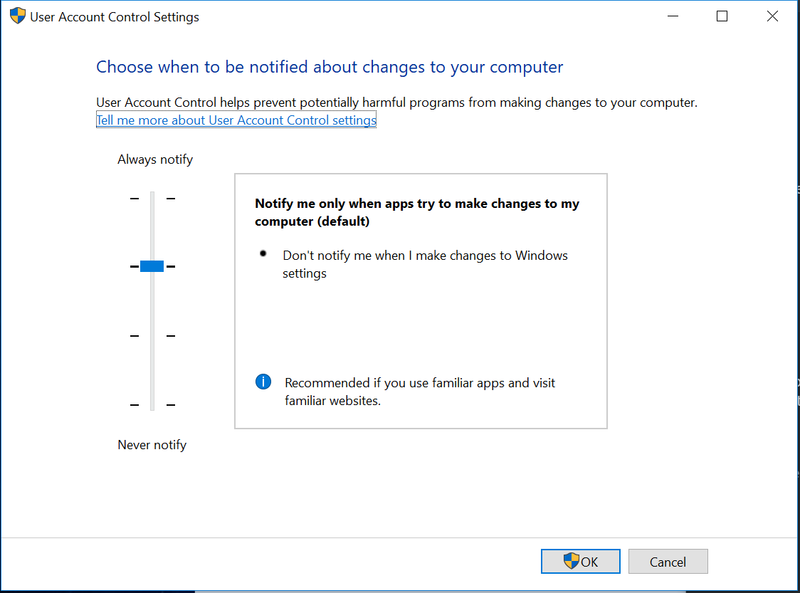 It’s an option on Windows 10, you just need to enable it. 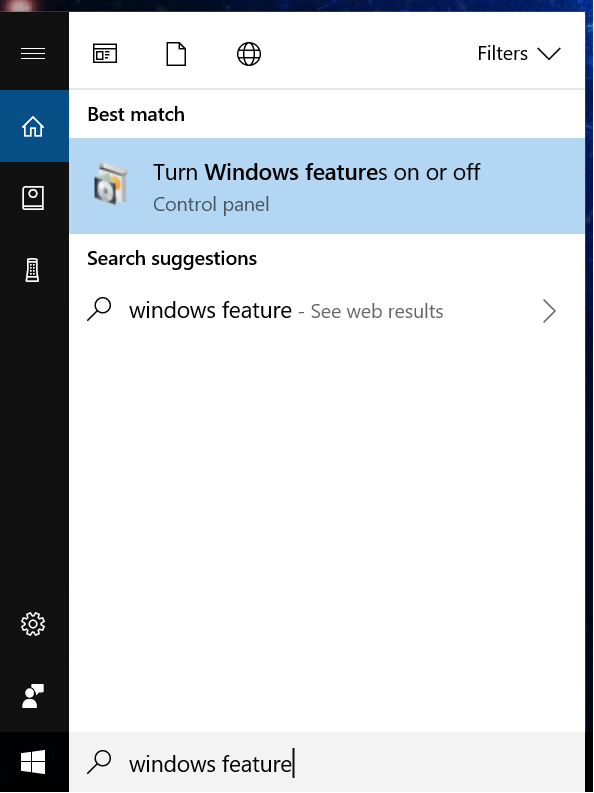 In the search box type “Windows feature” to bring up the Windows Feature control. 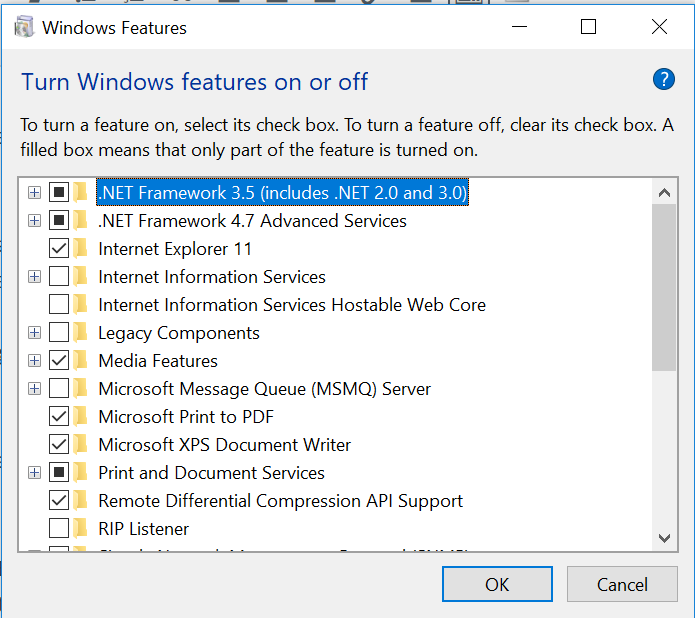 Check the .NET framework 3.5 (includes .NET 2.0 and 3.0). Windows will download the additional files it needs and request to reboot your computer. You also need a 32 bit version of Internet Explorer. Fortunately, that is also included on Windows 10. 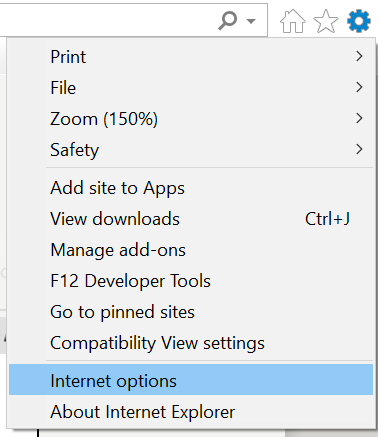 Go to Internet Options (upper right gear icon on the browser). 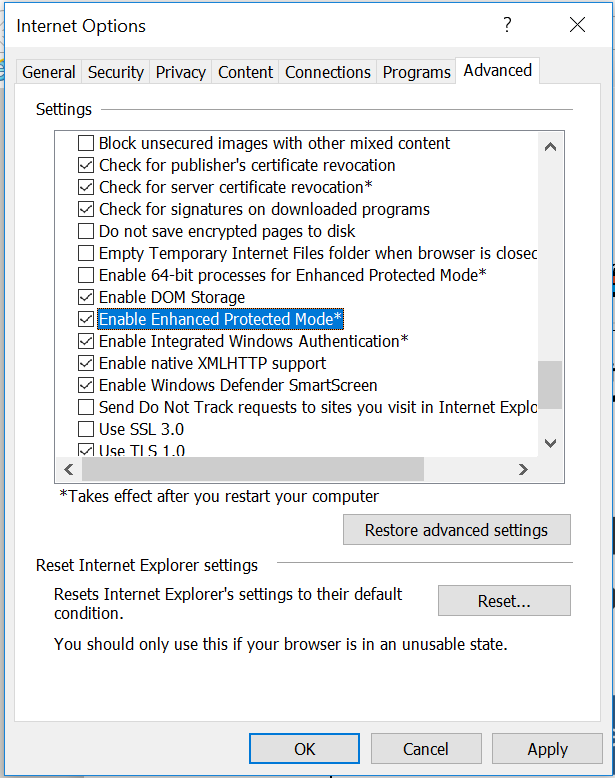 On the Security tab, verify that Enable Protected Mode is checked. It should be. If not, check it. In the search box, type “user account control”. Select “Change User Account Control Settings”. You will need to reboot again. Plug your Maestro RR into a USB port. Try flashing your module. If you get a prompts at the bottom of the browser asking for permission to run the “adsService.service”, select yes. If your computer doesn’t recognize the Maestro, try unplugging it from the computer, logging out of iDatalink, refreshing the iDatalink page, logging back in, and plugging the model back in. It took me a couple of tries to get the module to flash completely. The first time the progress bar made it all the way to the end and then froze. The second time it worked, and the status of the module showed the correct firmware installed. I installed it in my car and it works great! This entry was posted in Technical and tagged idatalink, maestro, weblink, windows 10 on January 14, 2018 by Rick.